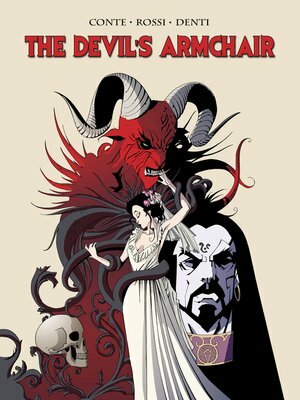 The Devil's Armchair is a gothic tale that takes its title from a peculiar ruin in S. Callisto Square, in Rome. Some old legends say it was placed there by the Devil himself, behind the Pope's palace, to become his throne. During the twelfth century, it was a place of orgies and black masses that inspired prophecies and easy healings. This is the stage where Alberto Militelli, ambiguous and charismatic, conducts his so called esoteric rituals. But he only pretends to be a sorcerer: for he simply has found his way to get rich and affluent. It doesn't matter how many dead bodies he leaves behind. He weaves a web of lies and deceptions, taking advantage of other people's sorrow and hope, playing with their lives with no mercy. But his rise to the top is quick, as will be his downfall. For his game has bothered his Master and his worst enemy: the Lord of the Dark, the Devil himself.